The artistic machines are coming. Artificial intelligence is already starting to upend deep assumptions about the indispensability of human input in the diverse areas like journalism, archaeology, writing, and even musical composition. Although a lot of this technology is still in its infancy, there doesn’t seem to be any real limitation in principle to the extent to which machines could take over in these domains, at least in the long run. This awareness of our possible looming obsolescence should be a source of anxiety, but to be honest I just don’t feel it. At a visceral level, I still have a persistent gut-feeling that the richness of human art and creativity simply cannot be replicated by non-human machines, and this is unshaken by the accumulating evidence suggesting otherwise. A theory by Yale psychologist Paul Bloom explains why. A distinction between the physical and the psychological is fundamental to human thought. Purely physical things, such as rocks and trees, are subject to the pitiless laws of Newton. Throw a rock, and it will fly through space on a certain path; if you put a branch on the ground, it will not disappear, scamper away, or fly into space. Psychological things, such as people, possess minds, intentions, beliefs, goals, and desires. They move unexpectedly, according to volition and whim; they can chase or run away. We perceive the world of objects as essentially separate from the world of minds. This separateness of these two mechanisms, one for understanding the physical world and one for understanding the social world, gives rise to a duality of experience. We experience the world of material things as separate from the world of goals and desires. While “physical” and “social” might be distinguished easily enough conceptually, in the real world the same object can have both a physical aspect and a social aspect. Consider, for example, the Mona Lisa. Of course, a big part of what makes this so valuable is how it looks—the way the light blends, the use of perspective, the enigmatic smile. But notice that these physical aspects (after all, just a specific placement of pigments) are replicable given the technology today. A 3D printer can probably generate a fake so similar to the original that even experts would be unable to tell the difference. But even if such a fake were produced, the value of the original would be undiminished and the fake would not suddenly be valued in the millions. 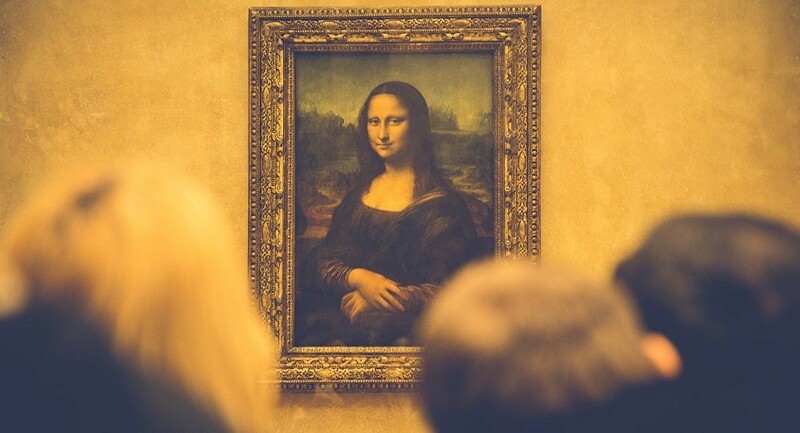 This indicates that a necessary part of what makes the Mona Lisa so valuable are the social aspects of the original painting—its particular history, including the fact that it was painted by Leonardo da Vinci in the 16th century using certain experimental techniques. Machine-made art lacks social aspects since we don’t impute intentions or goals to their makers, and these social aspects are necessary to make sense of why art in general is held to be valuable at all. So while it is amusing to consider the abstract possibility that a monkey hitting a typewriter for an infinite amount of time would almost surely type out the entire corpus of Shakespeare, for all intents and purposes, the social aspects of human art—the fact that a particular human being, with particular intentions, goals, and purposes—remain essential to our identification of and valuation of art. For now, the social aspects are considered necessary for art, but it isn’t implausible at all to think that this might change. For instance, if you can’t tell human-made artifacts from machine-made, the social origins would simply matter less in any marketplace where the merits of the physical aspects is an independent metric of its value. After all, given time, AI might even start composing music that exceeds that which has human creators. At that point, the dominance of the social aspects in gate-keeping what is considered art will wither away slowly, as more and more people realize that their hangup over origins is keeping them away from superior art. This isn’t to say that machine-made artifacts would necessarily be embraced rapidly or by everyone, but it has to be conceded that the distinction between the physical and social we currently rely on tacitly in privileging human-made art, and the consequent dismissal of the possibility of machines making inroads into the human world of creativity, is far shakier than we might think. To come back to where we started, I still have a visceral sense that the richness of human art and creativity simply cannot be replicated by non-human machines, it is just hard-wired into our brains. But I’ve come to realize that this feeling shouldn’t be counted on.